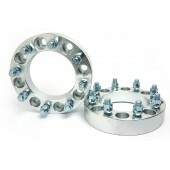 Customadeonly's 8 lug wheel spacers are available in hub centric & lug centric. 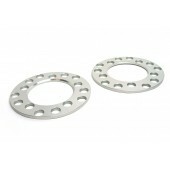 Please be sure to confirm the factory thread pitch size & center bore size of your vehicle prior making your purchase. 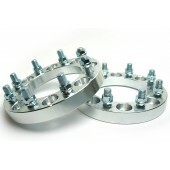 Please keep in mind that your factory wheel studs may be protruding he surface of the wheel spacers. 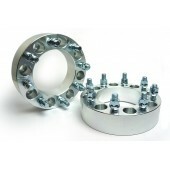 Stud modification (Shorten) may be required.